Sen. Heidi Heitkamp (D-ND), a vulnerable red state Democrat, condemned Hillary Clinton’s remark Tuesday to CNN that "you cannot be civil with a political party that wants to destroy what you stand for, what you care about." Clinton added that Democrats should abandon civility until they retake the House and Senate. "I'm wondering what you think about that idea, that you can't be civil, given the rhetoric coming from the Republicans. Can Democrats, should Democrats not be civil with Republicans?" CNN's Anderson Cooper asked Heitkamp later Tuesday. "That's ridiculous," she replied." "I mean I can't imagine how you get anything done if you don't bring civility back into politics, and that goes for both sides. Ratchet down the rhetoric." "I hope that we can find common ground in this country that sexual assault is more prominent than people thought it was," she added. Heitkamp is no fan of Clinton, commenting in March that the twice-failed presidential candidate can’t get out of politics “soon enough,” in her opinion, after Clinton called Trump voters racist and sexist on foreign soil during a visit to India. 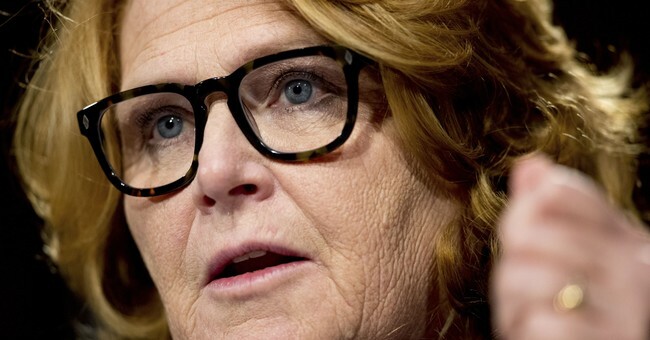 Heitkamp is facing a tough re-election race against her GOP opponent Kevin Cramer. Recent polling puts Cramer ahead of her by 12 percent. She voted against confirming now-Supreme Court Justice Brett Kavanaugh last week, citing concerns about his temperament and saying that she believed the sexual assault allegations brought against him by Christine Blasey Ford. That vote may have hurt her in the polls.